The hamlet of Blackburn serves to illustrate the pace of urban renewal in Melbourne’s suburbs of late. Like so many suburbs, the older style of home is quickly being replaced with newer ones, and those that survive are often redeveloped and modernised. And the kitchen is a prime candidate in many of these homes. Much like other nearby Melbourne suburbs, Blackburn perfectly illustrates the pace of urban renewal as older homes are being replaced with newer ones, and those that survive are renovated and modernised. What both have in common is the primary focus of every build and renovation, which just so happens to be something we at Zesta Kitchens are experts in: the kitchen. NEW KITCHENS OR RENOVATIONS, WE CAN DO IT ALL! If you’re in the market to renew your kitchen, it could be time to check out Zesta Kitchens. Our unique lineup of kitchens provides a wide range of colour patterns and styles, while our kitchen styles and designs means they can fit into any kitchen in Blackburn. Running the gauntlet from traditional to ultra-modernistic, using materials from white gloss to stone, our benchtops and materials have been driven by the latest styles, both from domestic sources, and from abroad. And we stand behind our product with guarantees for our workmanship and the products installed. This is a small part of our commitment to customer satisfaction with everything we do. Melbourne kitchens are often set right in the centre of the home and are a major hub of activity. Having a modern, well-designed kitchen in your house can increase both the value and the marketability of your property. Updated kitchens can bring substantial energy savings through reduced utility usage. A Zesta Kitchen has the power to modernise an entire property for a fraction of what you may otherwise spend. Because kitchens are so central to a Blackburn home, their upgrading can completely transform the atmosphere of an entire house – without the need for significant changes or add-ons to existing or new rooms. Melbourne kitchens of the past may not suit the needs and demands of the 21st century. Whether you’re rebuilding or starting from scratch, choosing a new kitchen layout means being able to make the most out of your kitchen by arranging it so it meets the needs of your family. Our knowledgeable and professional staff can make your kitchen a sight of functionality and beauty, a pleasant gathering point for all of your friends, family, or colleagues. The sight of a shiny gloss finish, or a stone benchtop, coinciding with new Zesta Kitchens styling, will ensure that your kitchen becomes the talk of the neighbourhood. Among providers and experts in Melbourne kitchens, Zesta Kitchens stands alone at the top. If you’re looking to renew and revive your kitchen, we can help you. Here at Zesta Kitchens, we pride ourselves on offering top quality unique Melbourne kitchens. Available in an array of colours, patterns, and styles, our flexible and versatile kitchen designs can fit into almost any new or remodelled kitchen in Blackburn. Save on your new or renovated kitchen with Zesta Kitchens. To discover more about what we can do for you, please don’t hesitate to get in touch. We will be happy to answer your questions and queries to ensure you can make an informed purchasing decision. Get inspiration for your brand new kitchen! Click here to check out our extensive selection of fresh and affordable kitchens, or call us today to book a free no-obligation kitchen consultation appointment with one of our expert kitchen designers on (03) 8878 9555. 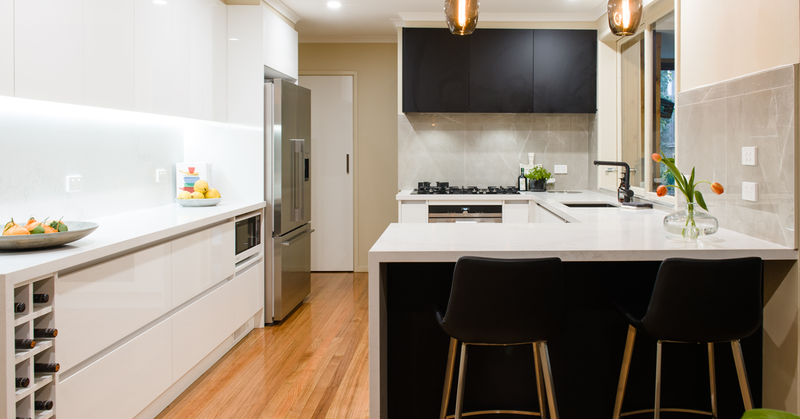 Our Nunawading kitchen designer will visit you at your home in Blackburn. Alternatively, use our online enquiry form and we will get back to you shortly.